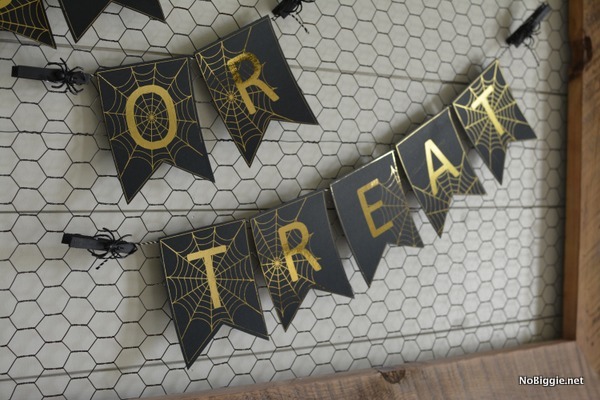 DIY Trick Or Treat Halloween Banner, a free printable + you can add metallic foil to glam it up. 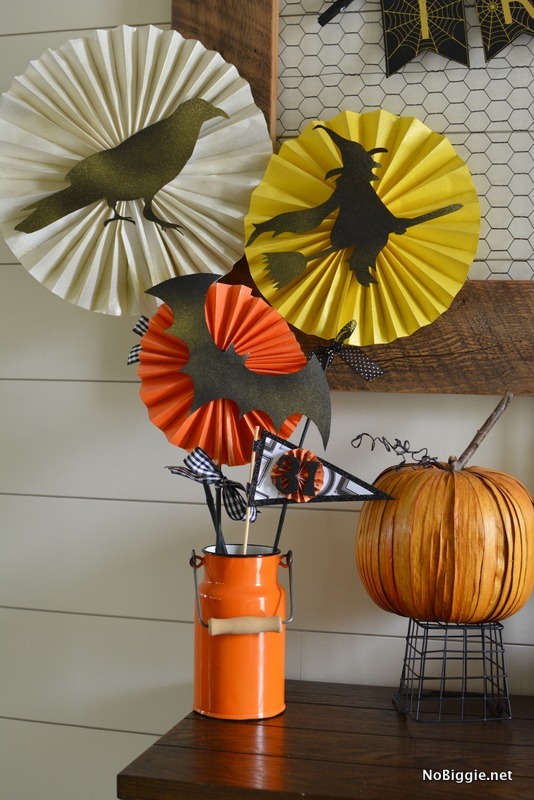 I have a fun Halloween project for you guys today! 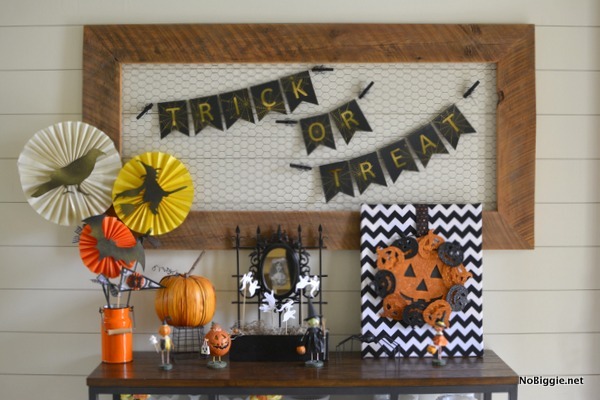 A DIY trick or treat banner. It’s a free printable too! 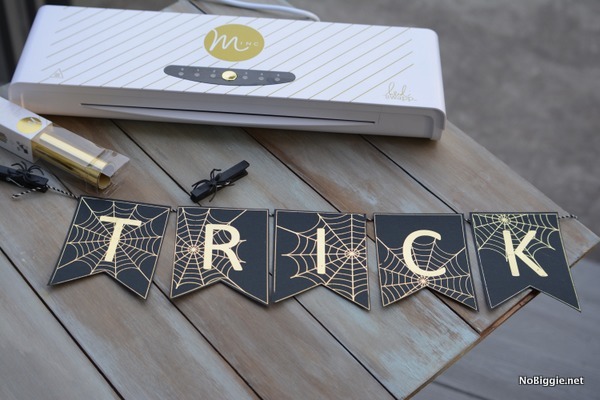 I love to make banners for all occasions, and now with the new Minc machine, I love to make shiny metallic banners…they’re so fun! 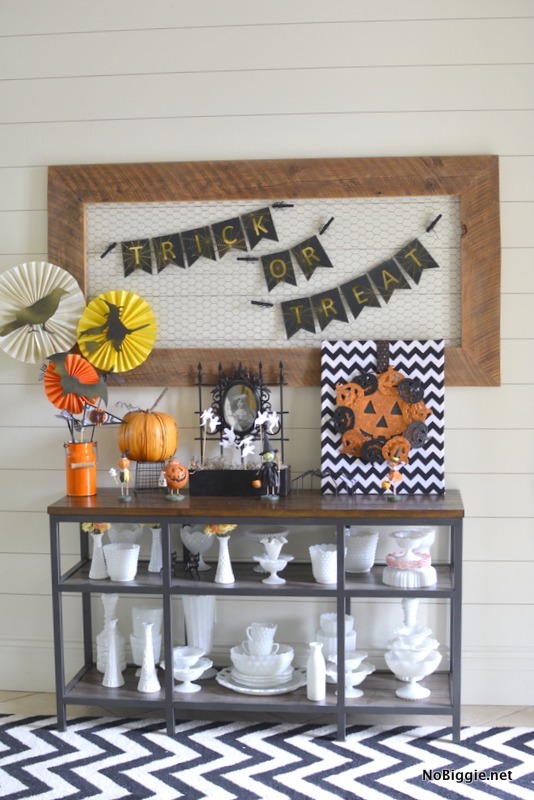 Here’s our little nod to Halloween entry table in all it’s glory. 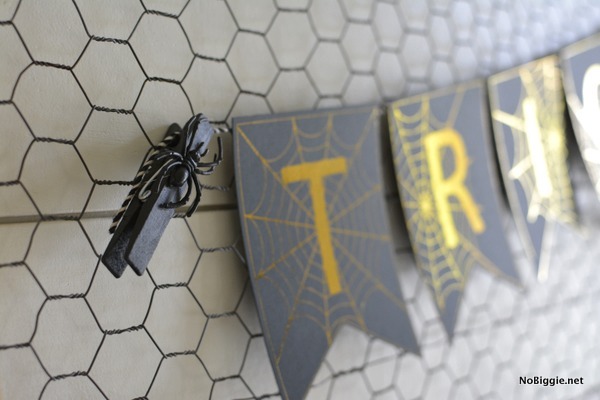 We even made creepy clothespins to hold the banner up. 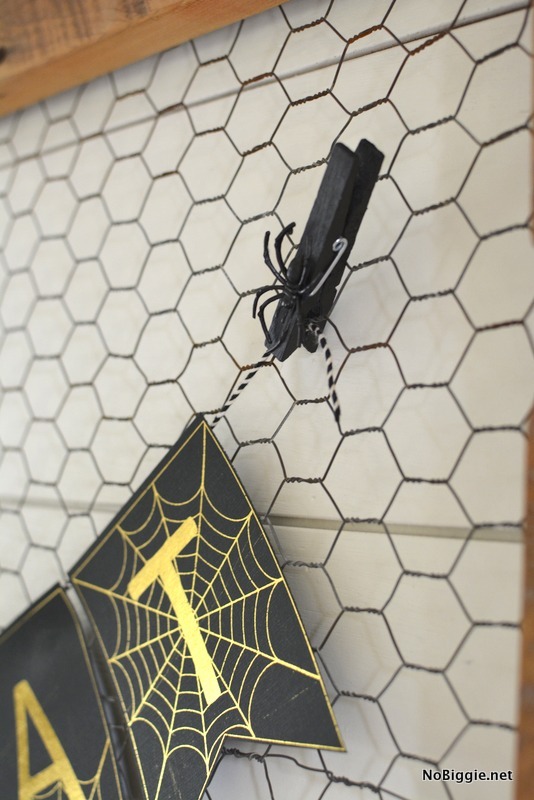 A little black spray paint, black plastic spider rings (with the ring part cut off) and a little hot glue to adhere the spiders on, and you are good to go! Isn’t the gold foil fun on the black?! I love how it turned out! We ran black card stock through the toner printer with the trick or treat spider web design, and then the gold foil just sticks right to the toner after you run it through the Minc. There’s just something so cool about anything that runs through the Minc Machine, it really looks so professional, like something you’d buy at a store. The best part is that you can make it at home too! If you don’t have a Minc machine yet (what are you waiting for? ), you can also print this banner design on white paper or card stock and add black colored ink for the printed design. 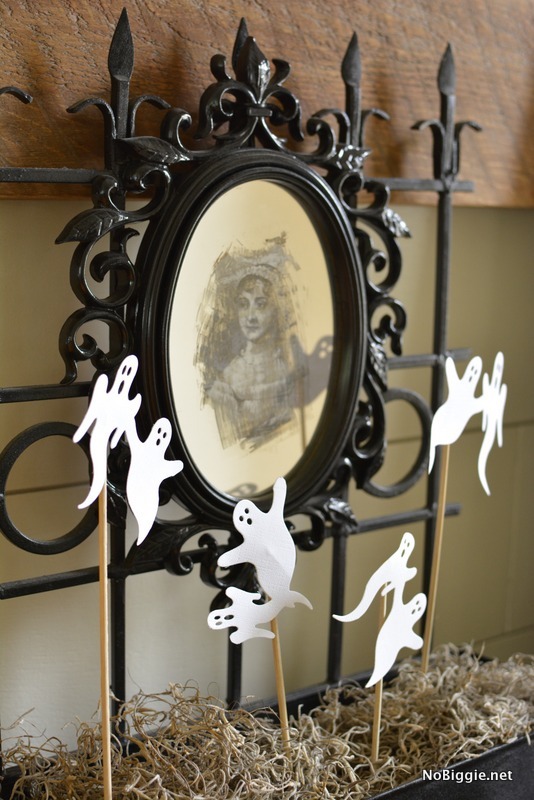 Or the spooky mirror! This was one of the first projects to go viral from the site. 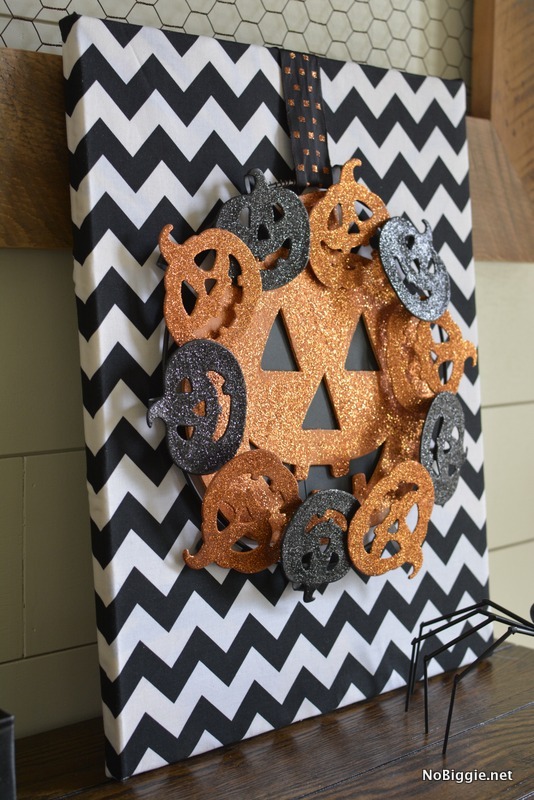 This little Halloween mirror was shipped all the way to New York City to be photographed for Woman’s Day Magazine (the Halloween Issue of 2011), then shipped back. This is the newest addition, I just put a few things together that I had on hand to make this glittery Jack-O-Lantern. 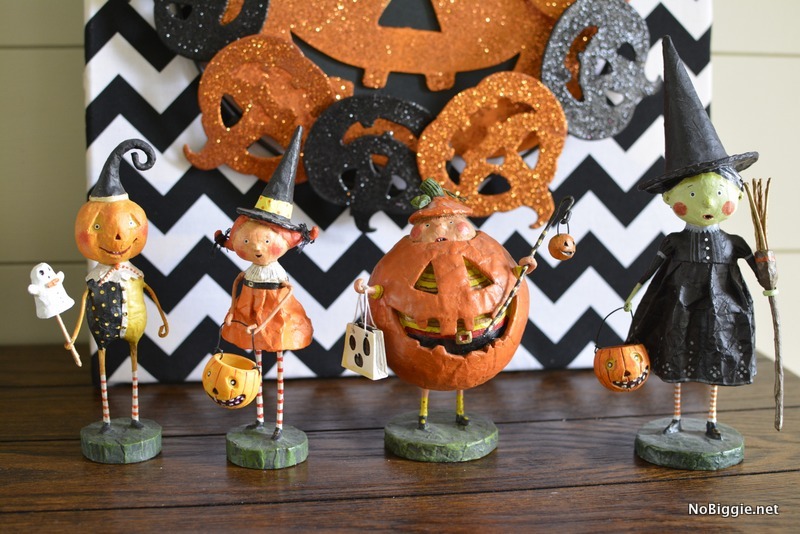 A few years ago, I bought all of these little Halloween figurines by Lori Mitchell. I just love them. 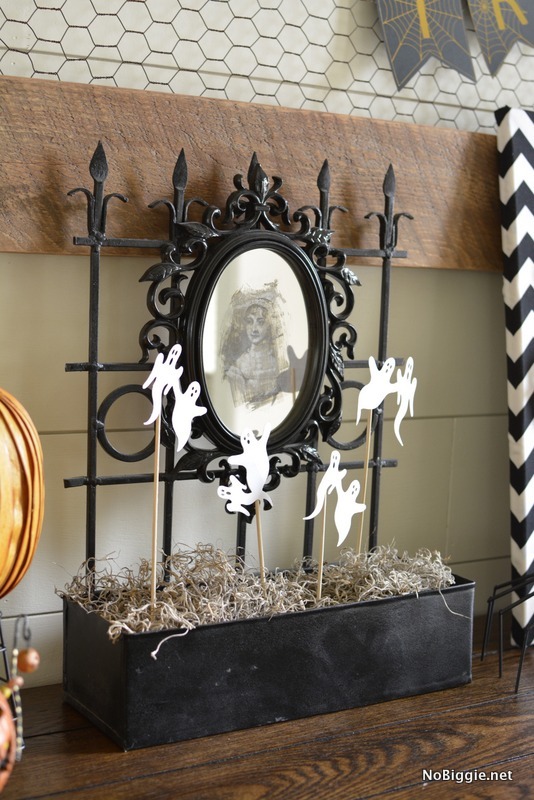 So there you have it…our little Halloween spot. Click here to download the Halloween Banner. Please note this printable design is for personal use only. 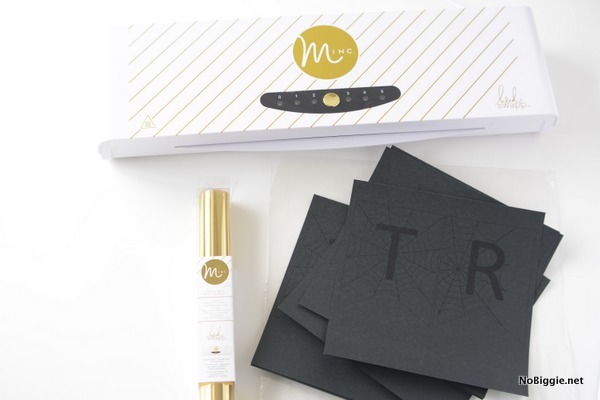 The Minc Foil Applicator and Starter Kit costs $149.00, and the Minc Foil is $9.99 (the foil roll is 12”x10’) All the Minc accessories range from $2.99 to $12.99. Minc Foil Applicator and accessories are available at Hobby Lobby, Jo-Ann, as well as locally owned craft stores and online shops…like Amazon!